This home was completed after her husband, Platte DeAlton Lyman died on November 13, 1901, leaving his two wives behind, Adelia Robison Lyman, and Annie Maude Clark Lyman. Platte and Adelia Lyman were married May 18, 1867. 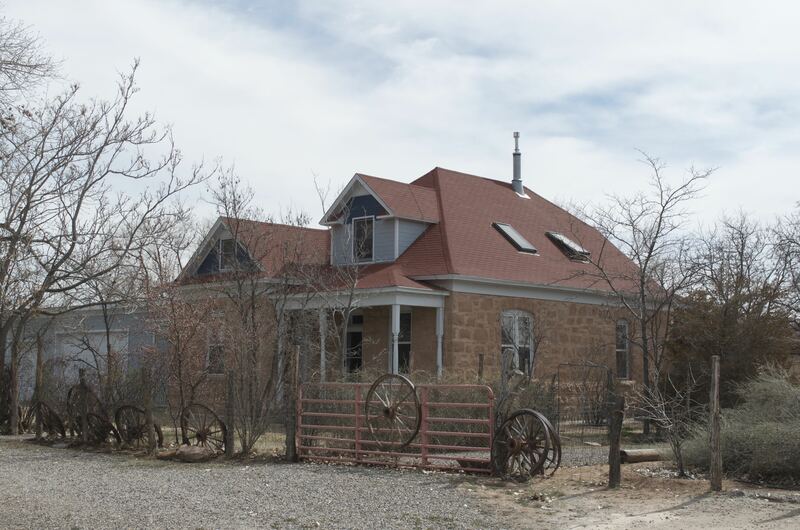 They were living in Millard County until the LDS church called them to the San Juan Mission in 1879. Platte was one of the scouts of the Hole-in-the-Rock group during their trek from Parowan, Utah, to Bluff during the winter of 1879-1880. The house is constructed of rough squared sandstone blocks. It has a high truncated hip roof that flares at the eaves. There is an original front porch. The builders were E.F. Thompson and H.T. Hibbs, along with Nick Lovace. 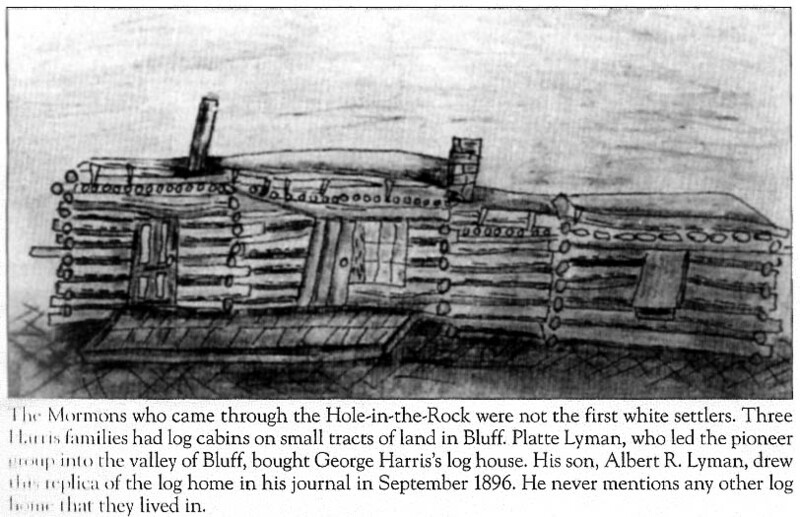 Platte started the house before he died and his son Albert finished it. Major out-of-period additions to this house are the addition of a kitchen on the south end and a large garage on the east end. Minor additions to the house are the placement of two window skylights in the west-facing main roof pitch and one window skylight in the east-facing main roof pitch.